I had the honor of being street photographer Valerie Jardin's guest on her Street Focus podcast this week. I've known Valerie for about 3 years through social media & workshops. 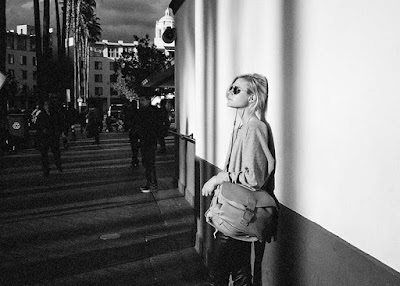 Even though I primarily do studio based editorial / commercial fashion and portrait work, readers of this blog know I also do street photography, primarily with a Sony A6000 and film cameras. We spent about 45 minutes talking about street photography, percent of usable photos, how to get into a street photography meet up group & an appropriate starting aperture for street photography. When I was on her workshops I've used multiple film cameras when I wasn't using digital. Something about film is just right. Being on the podcast was a blast.